Former GOT Services Ltd boss Warren Anderson. An oil worker has spoken of his delight after being cleared of stalking his former boss on social media. 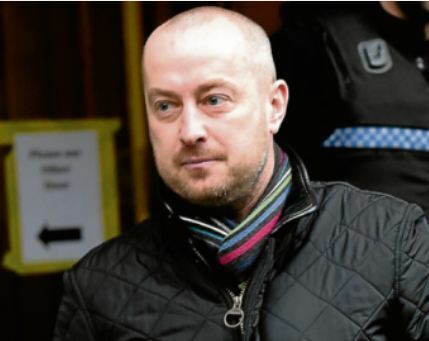 Wayne Ledingham had been on trial at Aberdeen Sheriff Court accused of harassing former GOT Services Ltd boss Warren Anderson between May and December 2015. He was accused of persistently messaging him, threatening to expose him as a fraud, setting up fake Twitter accounts to contact him and sharing articles on LinkedIn documenting his bankruptcy. While giving evidence, Mr Anderson said he had felt “intimidated” by the conduct and denied owing Mr Ledingham, profit shares after he invested £200,000 in the company’s Houston office. The court also heard that GOT Services went into administration in July 2015 and Mr Anderson later set up GOT Procurement which has also shut down and that Mr Anderson is now bankrupt. Delivering a verdict yesterday morning, Sheriff Margaret Hodge found Mr Ledingham, aged 51, not guilty. She said the conduct was not sufficient to cause “fear or alarm” but rather had been intended by Mr Ledingham to recover the money he was owed and to cause annoyance. She said the “credibility and reliability” of Mr Anderson was a relevant consideration and added: “He was vague about the business. Speaking after the outcome, Mr Ledingham, who had to travel back and forth from Houston several times for the trial, which was split over several days, said he was relieved. He said: “I am absolutely delighted, it has taken nearly two years to clear my name. The court had heard Mr Anderson had taken two director’s loans, one of £440,000 and another of £95,000. He claimed they were in lieu of a salary but a KMPG accountant who dealt with his companies when they went bankrupt said this was not the case. Mr Ledingham, of Farmers Hall in Aberdeen, said: “He said he suffered fear or alarm, what about the 29 people who lost their job, what about the nine pages of creditors?